Eng Kong provides excellent repair and reefer services delivered by well trained, certified and experienced staff equipped with high quality spare parts, accessories and equipment. Our specialist staff will deliver you top quality work - on time, on budget and in accordance with your specifications. Fully accredited and certified welders, metal fitters and general maintenance staff. Well-equipped sites with specialist equipment for a range of maintenance tasks. Our staff maintain a full stock of high quality parts and accessories. Smartz Pte Ltd, part of the Eng Kong Group of companies, supplies container replacement parts, security seals and all related products and has a well-established niche in delivering high quality maintenance operations across the South East Asia region. Structural and mechanical repair of steel, aluminium and tank containers. 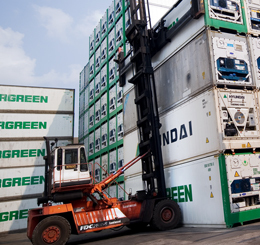 Repair of dry and refrigerated containers for all makes and models. Temperature watch for active refrigerated containers. 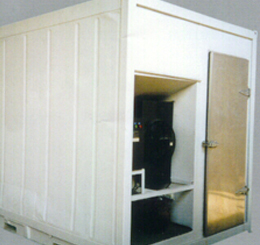 Plug and unplug of refrigerated containers at reefer points. Refurbishment and structural steel blasting coatings. To ensure that we cover all aspects of container repair, Eng Kong has four subsidiaries, Reefertec Pte Ltd, Ming Fung Container Limited, Ming Fung Reefer Container Services Co. Ltd and Tricool Reefer Sdn Bhd offering intricate structural and mechanical repair jobs, like the repair of both dry and refrigerated containers. We use state of the art equipment such as the reefer staging stack to ensure that inspections are performed quickly and efficiently. 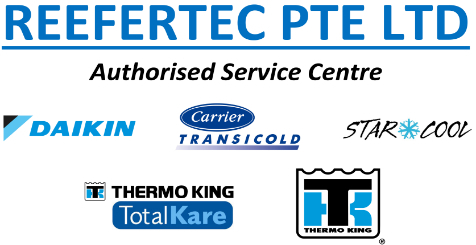 Eng Kong offers this service through our subsidiary Reefertec Pte Ltd, specializing in building 10" mobile cold-rooms that offer unlimited applications and mobility across industry. We build these to marine grade specification; our refrigerated containers have frames and panels built from existing 20"or 40" reefer and doors from stainless steel single lids similar to a commercial cold-room door. Our fully powered cold-rooms are designed to operate with 380-460 Vac, 3 phase, 50/60 Hz power supply and have self-cooling and heating units, with accurate temperature controls that can also be pre-set. Several major oil-drilling companies use our cold-rooms to deliver provisions to offshore rigs, platforms and other remote areas. Omron controllers: a point 100 probe is used for controlling either chill or frozen mode settings and can be pre-set in the range of +29 ° Celsius to -29 ° Celsius. Step-down 230-volt transformers, control circuits and fan motors. 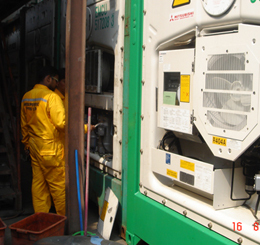 Bitzer compressors and R22 refrigeration systems.